It’s finally that time of year again! What are you planning to do this Victoria Day weekend? Don’t worry if you don’t have any plans yet, as we have some great ideas for you. 1. The long weekend is a great time to travel up north to take a step back from life’s busy moments. While it’s still too cold to go into the lake, it’s cold enough to avoid black fly season. Hit the road and travel to Sudbury or Sault Ste. Marie to visit national parks and a wonderful view. 2. Drive In movies are always a magical experience! Places like 5 Drive-in and The Stardust Drive In Theatre are a blast from the past. Cozy up in your car with some snacks and popcorn. No need to sit uncomfortably close with people you don’t know. 3. Fireworks are always a fantastic display and fun for the whole family. In our area we always do a block barbecue, complete with a bbq and fireworks. It almost seems like the perfect way to announce the arrival of the warmer weather. 4. The Blue Jays are in town this year! Catch a baseball game on the long weekend. Games are on May 18th, 19th, and 20th. Baseball games are always a pleasure to watch, and can be an inspiring and enchanting memory for kids. Baseball is not everyone’s cup of tea, but there’s still much fun and entertainment to be had at games. 5. It’s the perfect weather to take a leisurely bike ride in a park. Dust off your old bike and head to your nearest park to take in all of that vitamin D. If you don’t have your own bike, you can rent a bike downtown, and then ride around the heart of Toronto or along Habourfront for a fantastic view near the water. 6. The Artfest at the Distillery District is happening throughout the long weekend. Take a look at some paintings, photography, clothes, jewelry, and more to see if anything tickles your fancy. As well, the Distillery District is known for its unique restaurants, so be sure to grab a bite while you’re at it. 7. Junior is Harbourfront’s new international children’s festival. Head on over for some magic tricks, storytelling, and music. It’s a great way to entertain your kids while making the most of the nice weather. Whatever you decide to do, we hope you have a great long weekend! Looking for things to do for the upcoming March break? You need look no further than the SQM Picks list! Pop by Bruce’s Mill in Stouffville or Kortright in Woodbridge for the Sugarbush Maple Syrup Festival! Observe the process of tapping and boiling sap to turn it into maple syrup. Dive into Canadian culture, ride a horse-drawn wagons, and get a taste of that delicious Canadian syrup while you’re at it. Take in the Broadway production of Come From Away, the smash hit musical that has landed in Toronto! The show follows the true story of what happened when 38 planes were forced to land in Newfoundland and Labrador following the attacks of September 11th. Tickets are on sale online! Rediscover your childhood love for hockey at the Hockey Hall of Fame. Take a peek at the largest collection of hockey memorabilia in the world, view old hockey footage and photos, and observe the records left behind by some of the world’s greatest players. It’s a must-see for hockey lovers of all ages! Want to spend all of March break admiring world-renowned pieces of art! Yes, you can! The March break camp at the Royal Ontario Museum lets kids ages 5-14 work on their own pieces of art and learn about history right at the museum. Visit the Evergreen Brick Works for a refreshing taste of nature. Learn to ride a bike, visit the garden market, or get a taste of some organic and locally grown foods. Take advantage of the spring-like weather while you’re at it! March break is the perfect time for a trip to the zoo when it’s not too hot and not too cold! Make sure you get a chance to see the giant pandas before they’re sent off to the Calgary zoo. Head off to Niagara Falls for some great weather and a fantastic view. There are some amazing waterparks there including the Fallsview Indoor Waterpark and Great Wolf Lodge. Pack your bags and head north to get in some spring skiing, or to simply relax at a resort. Get away from the city life, recharge your batteries and take some time for yourself. Hit up an escape room! Immerse yourself in a life-size puzzle in which you have to use your wits, brains, and intelligence to escape. It’s a great teamwork activity, and will test the mettle of your friendships like nothing ever has. Some can even be done with kids! Ottawa is an excellent place to visit for a trip focusing on Canadian history and culture. Visit the National Gallery of Canada in which the stories of Canadian artists are shared, or pop by the Canada Aviation and Space Museum to learn about engines, aircrafts, and the international space station itself. Visit Science North in Sudbury and view their many exhibitions, including flight simulators, the gravity well, and the human fitness lab. Science North has an excellent range of activities for all ages, and can be educational to people at all stages of life. 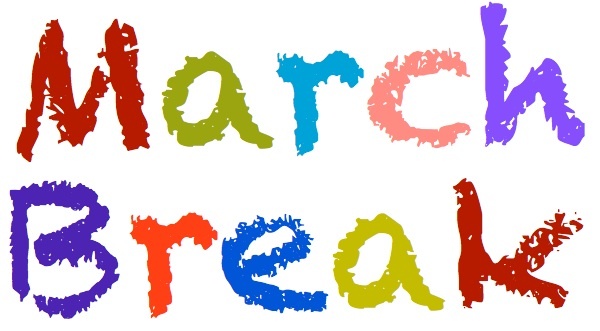 Whatever you choose to do from skiing to an escape room, or simply just relaxing, I hope you and your family have a safe, eventful, and happy March break! 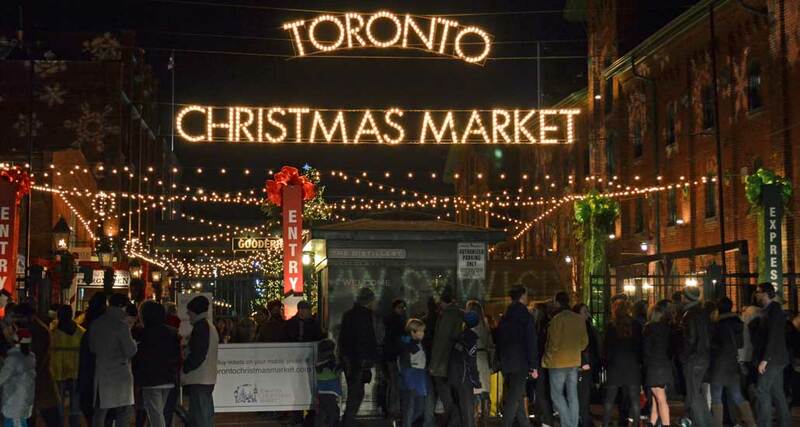 Toronto Christmas Market – Down in the Distillery District, the iconic Christmas market is on until December 23rd! Enjoy Christmas music, magical lighting, singing, dancing, visits with Santa, and everything to get you into the holiday spirit. Though the experience is purely magical, it’s $6.00 to get in on weekends and lineups can be lengthy. Starbucks Holiday Cups – I always enjoy the little things that add bits of holiday spirit. Starbucks offers some cool and interesting holiday drinks with a fun design on them. It’s a great pick-me-up, and a great way to warm yourself up. This year’s design encourages customers to colour and draw on the white background of the cups. Skating at the Harbourfront Centre – Want to do something active, fun, and festive? Skating is the perfect way to engage in holiday cheer while burning some calories at the same time. Visit your local skating rink and rent a pair of skates – or bring your own. The Harbourfront Centre has a beautiful, scenic outdoor skating rink and best of all – admission is free! Holiday Fair in Nathan Phillips Square – At the heart of downtown Toronto, celebrate winter by shopping in the market, skating, or simply enjoying the view at their annual holiday fair. Until December 23rd, experience different foods, find that perfect gift, and listen to some live Christmas music! The Nutcracker – Experience the magic firsthand when you see The Nutcracker live in theatre! As an all-time classic, and world-renowned play, the National Ballet of Canada has been performing every year since 2005. It’s an amazing and entertaining family activity, and suitable for all ages. Catch it now until December 30th. Get Involved with A Charity – Whether it’s helping out at your local food bank, preparing meals for the homeless, running a toy drive, or collecting clothes and personal care products for those in need, getting involved with charities is something that should not be overlooked during this busy and hectic time of year. Whatever you choose to do, and wherever you choose to go…from all of us at SQM, have a safe and enjoyable holiday season, and a happy and healthy new year! Over the past few weeks, I’ve posted several blogs regarding my aunt, as she is recovering from a broken hip. Around the same time my aunt broke her hip, my father enrolled in a program at Baycrest, specifically at the Freeman Family Day Centre. 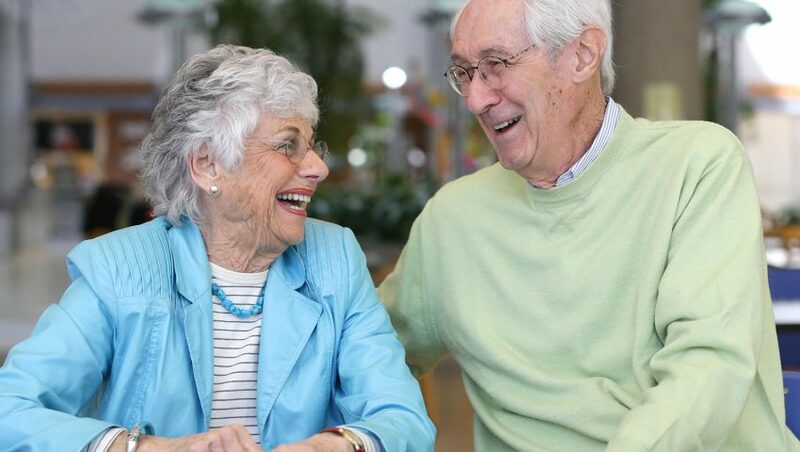 The program is a day program for seniors, allowing them to keep active and engaged while socializing with other seniors. Once accepted into the program, seniors can choose to come up to four days a week (the program runs Monday to Thursday) as well as either half days or a full day (full days run from 10:00 a.m. to 2:30 p.m. Typically, the day begins with coffee, pastries, and some informal socializing. After everyone settles in, one of the group leaders discusses current events, which typically results in some entertaining conversations. The participants then get active with low-impact seated exercises, known as Stretch and Kvetch, which is run by one of the physiotherapists on staff. After morning exercises, several program options can be selected, ranging from art, to music, to book reviews, or even movies. After working up an appetite, the members all head to the dining room for lunch, sitting with those with common interests. The program then continues until 2:30 p.m. with a variety of options for activities. When it comes to getting to the program, there are several transportation options. Aside from driving or taking the bus, many attendees use taxis, Wheel-Trans, or iRIDE, to get them to and from the facility. The cost of the program is approximately $40.00 a day, plus any transportation fees. The program director and the rest of the staff are great to deal with. Whether it is helping new members adapt to the routine, getting coffee, assisting members to the washroom, or taking people to the next event, there is always help every step of the way. The staff are truly amazing people and are always there to help. My dad originally attended the program and now that my aunt is on the road to recovery, she attends as well. Whether it’s the two of them or the other attendees that I’ve met, they all seem to enjoy it. I know when folks hit 80 they become very set in their schedules, but for anyone that has a senior in the family and wants to keep them busy and active, I personally recommend the Freeman Family Day Centre. 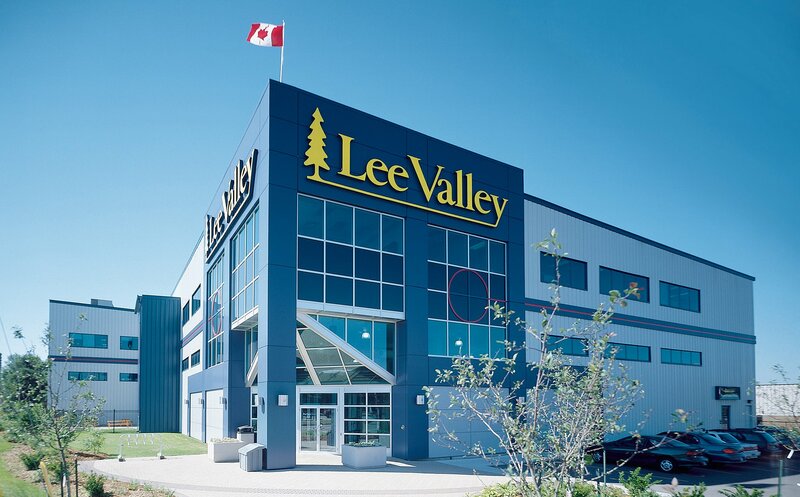 Baycrest, Brand Standards, Canada, Care, Customer, Customer Experience, Customer Service, Excellent Customer Service, Experience, Family Activity, Family Event, Health Science, Hospital, Market Research, Mystery Shop, Quality Assurance, Seniors, Sensors Quality Management, Sensors Quality Management Inc, Social Activity, SQM, SQM Inc. The end of October brings many things along with it – colder weather, shorter days, and of course, Halloween! At this time of year I always prepare myself for a breakout of pumpkins, candy, and amazing Halloween decorations. 1) Screemers is one of Toronto’s best haunted theme parks, featuring a wide variety of terrifying attractions and shows, including the Zombie Prizon, The Haunted House, and Skull Castle. Join Screemers this October as they celebrate 25 years of terrorizing their guests! For adults, kick back and hit up the Vampire Lounge and toss back some liquid courage before coming face to face with your greatest fears. 2) The infamous Halloween Haunt at Wonderland is one of the most popular Halloween attractions out there. Feeling brave enough? There are 700 monsters scattered around the park as well as mazes, live shows, and scare zones. 3) Every now and then, I do love a blast from the past. If you haven’t already gone to…or even if you have….go watch the original, Rocky Horror Picture Show in theatres. 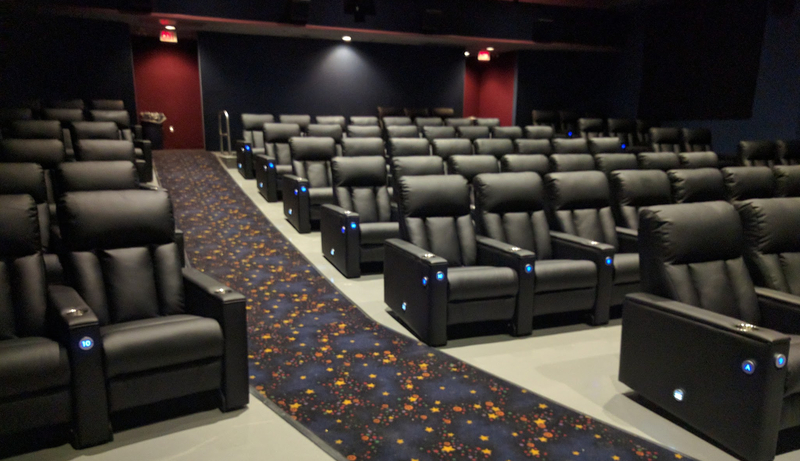 There are several showings at the Ted Rogers Cinema throughout October and into November. Don’t forget to dress up and bring your props! 4) Save some money this year and rent a costume instead of buying one! Everyone wants a cool costume at an affordable price, and for something you only wear once a year, plenty of people are looking to save some money. Malabar, located in Toronto, does just that. 5) Choose costumes from historical figures, superheroes, animals, and more! Be cautious of what your costume will be this Halloween, as more people are starting to make more conscious decisions on what to wear. 6) Choose something unique to give out on Halloween night! Instead of giving out candy, give out arts and crafts supplies, fun school supplies, or toys. There’s even one person in our neighbourhood who hands out Webkinz. 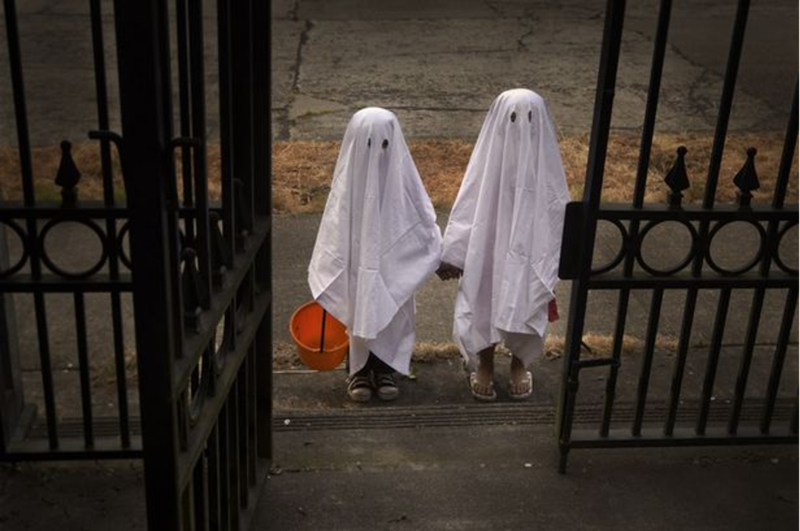 Make this Halloween a memorable one for kids. 7) Take a peek at Casa Loma’s Haunted House! Make your way through the spookified castle and immerse yourself in a terrifying environment. Witness iconic Halloween figures, such as Dracula, the Phantom of the Opera, and the Creature from the Black Lagoon. Halloween only comes around once a year. Make the most of whatever you decide to do, and most importantly, don’t be afraid to get into the Halloween spirit!